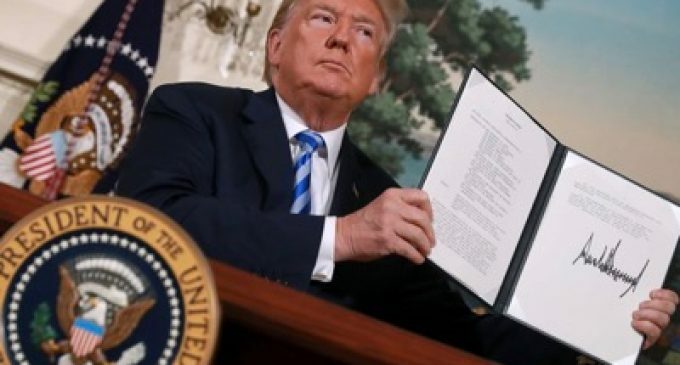 US President, Donald Trump, has issued the following edict to all countries and private businesses: you have between 90 to 180 days, depending on the sector you’re in, to wrap up all your business with Iran. Sanctions on metal, currency, debt and every type of automotive vehicle, will apply from 7 August. Sanctions relating to the banking and oil sector will apply from 5 November. In the European Union, some are groaning and requesting exemptions, at least to allow contracts that have already been signed, to be executed (requests made by companies such as Airbus, Lufthansa, Peugeot, Siemens and Total). Other voices are requesting the European Union to apply to Iran the system set up in 1990 to oppose the sanctions that the US unilaterally imposed on Cuba. If the EU agrees, then European firms which obeyed Washington would be penalized by the EU. Furthermore, the EU would not recognize any non- European trade tribunal as having the jurisdiction to pass a judgement on this matter. However, noone knows if this mechanism would be effective today nor what the response of the United States would be. Today, 50% of Iran’s trade is with India and China. We still have no idea what’s India’s reaction to these US sanctions against Iran and it is highly improbable that China will bend to the US edict. One last point: the US Treasury Department has adopted sanctions against several firms and personalities of the United Arabs Emirates that in the past participated in evading the previous US embargo against Iran. The port of Dubai owes its prosperity to getting round the US sanctions against the Islamic Republic.